I heard about it from a friend. 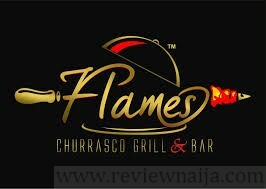 They offer different varieties of grilled meat dinners served with wines and other side dishes. I think it’s quite fair. At N5000/head for an All You Can Eat Buffet isn’t bad if you ask me. The food tasted good and the decor was perfect. The restaurant space is too tiny, the same applies to the parking lot as well. I would say their greatest challenge is that of space. I loved the Beef. My wife loved the seafood though. They should give extra training to their waiters and improve just a bit on speed of the service. If they have a full house, the parking space would be a nightmare. On a scale of 1-10, what would be your overall rating of this business? And why? It would be a 7. It’s a borrowed/foreign concept and to have pulled it off with the degree of success they achieved last night is a plus anytime. That’s why I’d love to visit there again sometime soon. Personally, i love beef and based on this review, i wouldn’t mind visiting at all. thanks for the heads up regarding parking. UBER will be my choice of transportation to avoid unnecessary headache.